I have just got back from a great talk about these enchanted islands. Ralph Todd gave us a great insight into the challenges faced in these volcanic islands set out in the Pacific Ocean 600 miles off the Ecuador coast. With the increase in tourism comes pressure on the landscape and it’s inhabitants, with flora and fauna adapting to the changes presented. Brilliant photos of birds from the finches for which the islands are so famous (thanks to Charles Darwin) to the blue- and red-footed boobies, red-billed tropicbirds, vermilion flycatchers and yellow warblers were all brought to our notice. Sealions, land and marine iguanas, and the various land tortoises were all shown in their natural habitat. The amazing volcanic landscape not only gives a lunar-like landscape, but also gives rise to the name of many species, including, lava gull, lava heron, lava lizard, even lava cactus! 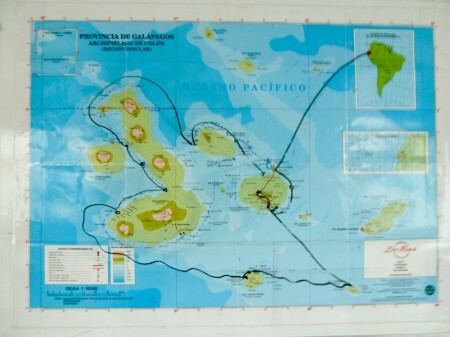 So, for those of us who have been to Galapagos great reminders. For those who plan to go, an excellent idea of what to expect. For those who may never visit an interesting talk bringing this charismatic and individual environment a little closer.